ST. PETERSBURG, Florida – Bison Financial Group, a real estate advisory firm based here announces the closing of a $5,600,000 loan to refinance a term defaulted CMBS loan on a national retail anchored neighborhood shopping center in Tampa, FL. The loan was structured with a 5-year term and an initial interest rate under 6%. 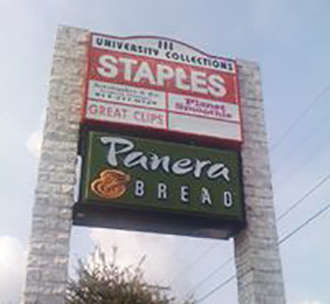 Tenants at the property are a mix of national and local tenants including: Staples, Panera Bread, Regions Bank, Planet Smoothie and others. Bison has an array of unique and dependable sources of private and institutional capital willing and able to lend on properties in all shapes, sizes, conditions and locations. Bison works with investors nationwide that invest in traditional, vanilla income producing properties (retail, office/industrial, multi-family & hospitality) as well as more unique property types, development projects and special situations. Bison has closed complex loans on commercial real estate in as little as 8 business days.